The Celestron monocular collection includes offerings from pocket size to full size instruments with compass and ranging reticle, each at an affordable price. 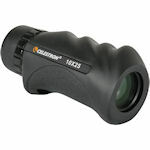 Celestron monoculars include a diverse group of special purpose monoculars. The current collection includes the Brass Spyglass, Nature 10x25, Oceana 8x42, and Outland 6x30.